Iran’s nuclear chief has said that the country has developed the necessary infrastructure at the Natanz nuclear facility to enrich uranium up to a capacity of one million SWU (Separative Work Unit), Tasnim News Agency reported. Ali Akbar Salehi, head of the Atomic Energy Organization of Iran (AEOI), made the remarks at a TV program aired live from a newly-built facility used for assembly of centrifuge machines. He added that nuclear enrichment at Natanz could be enhanced up to one million SWU as the nuclear installation could host 48,000 centrifuges machines. 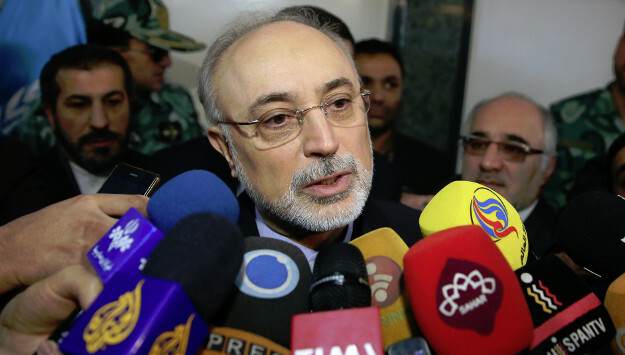 Salehi further noted that Tehran never trusted Washington so AEOI had never ceased efforts to enhance its capacity of enriching uranium. The top Iranian nuclear official emphasized that Tehran is now able to enrich 180,000 SWU in only ten months. Comment: Salehi’s remarks came just days after Supreme Leader Ali Khamenei ordered AEOI to be ready to expand the country’s nuclear enrichment. Speaking to a gathering of thousands of people and government officials in Tehran, Khamenei stressed that any enrichment expansion at this time should be within the JCPOA framework, but warned that Tehran would not abide by the nuclear accord and would resume high-level enrichment if European powers failed to meet Iranian demands. The supreme leader also ruled out any talks with Western powers over Iran’s missile program or regional policies. After the U.S. withdrawal from the nuclear accord on May 8, Tehran said that it would remain in the deal as long as European powers provided necessary guarantees to Tehran that they would continue to purchase Iranian oil and gas and not side with Washington to pressure Tehran over its missile activities and regional role. As negotiations are underway, Khamenei and Salehi’s remarks about nuclear enrichment are aimed at putting pressure on European powers to accept Tehran’s demands.